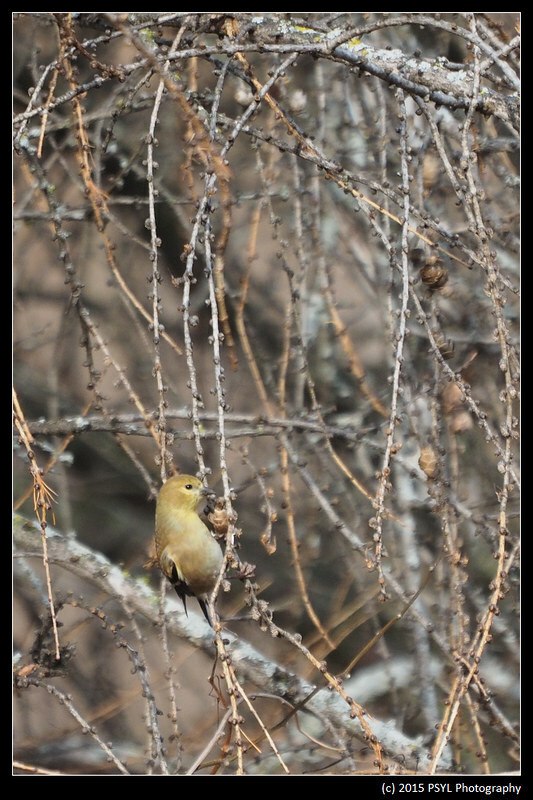 Compared to previous years (2013 and 2014), December so far has been very mild which makes being outside (for humans and creatures alike) more enjoyable. 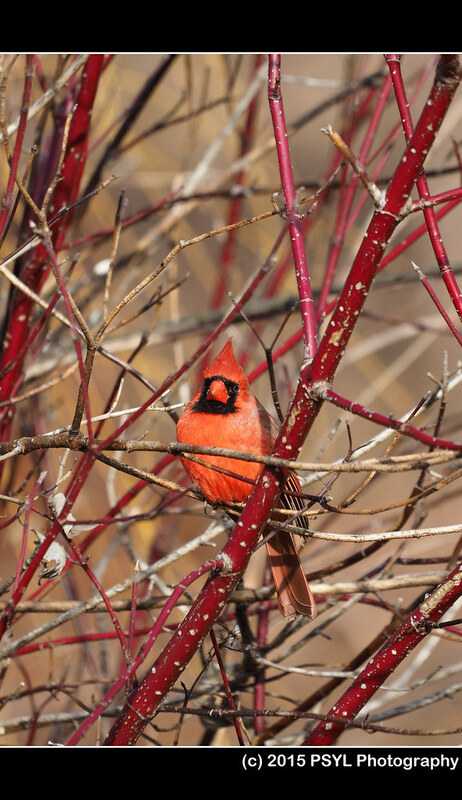 Before going to school today to grade some lab reports, I made a detour to the Arboretum to do some bird-watching. 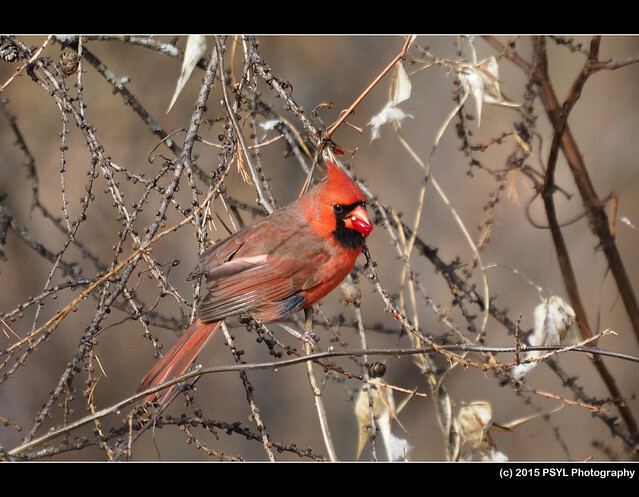 I came across a spot where several species of birds were bathing and enjoying whatever food they can find. 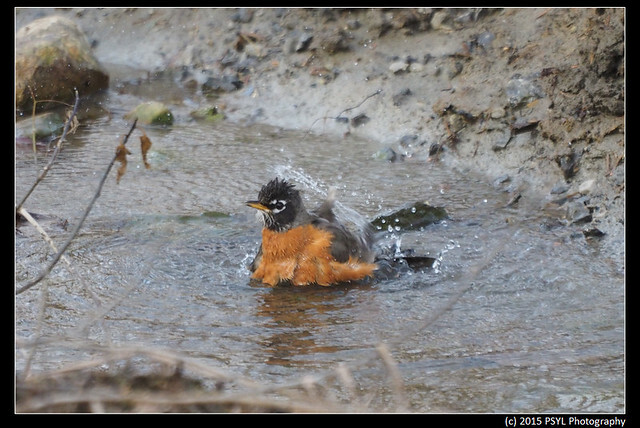 American Robin (Turdus migratorius) taking a bird bath. Juvenile (?) 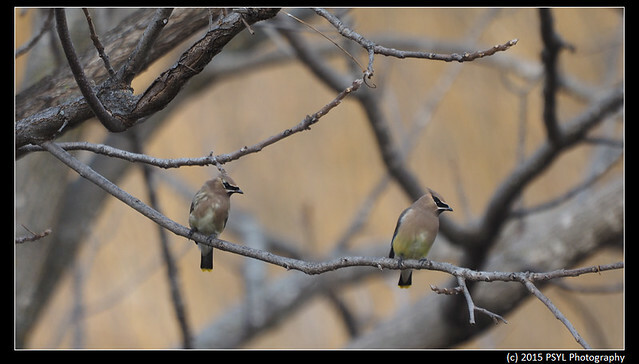 and adult Cedar Waxwings (Bombycilla cedrorum). 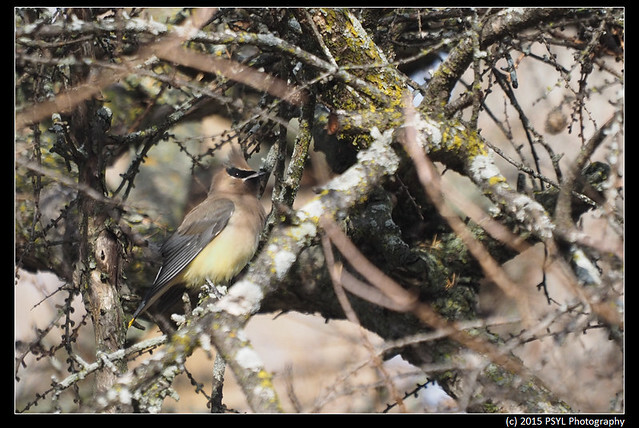 A waxwing preening itself after bathing. 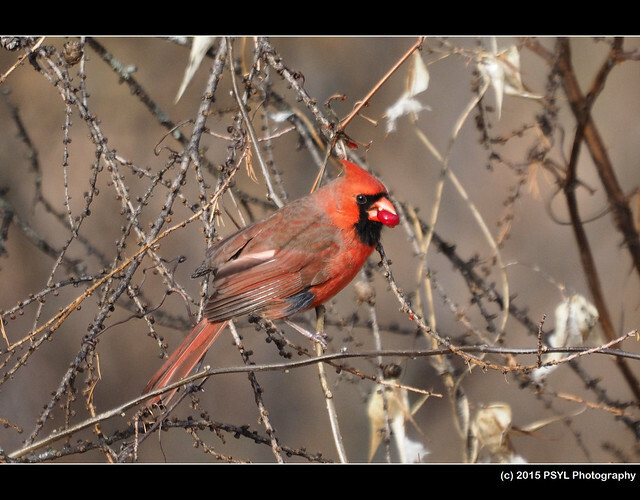 A Northern Cardinal (Cardinalis cardinalis) enjoying some red berries. The branches would already be covered by snow in previous years. 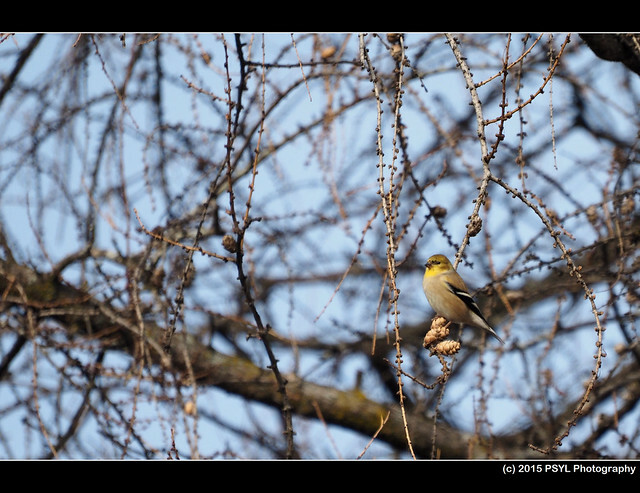 American Goldfinch (Spinus tristis) eating something. 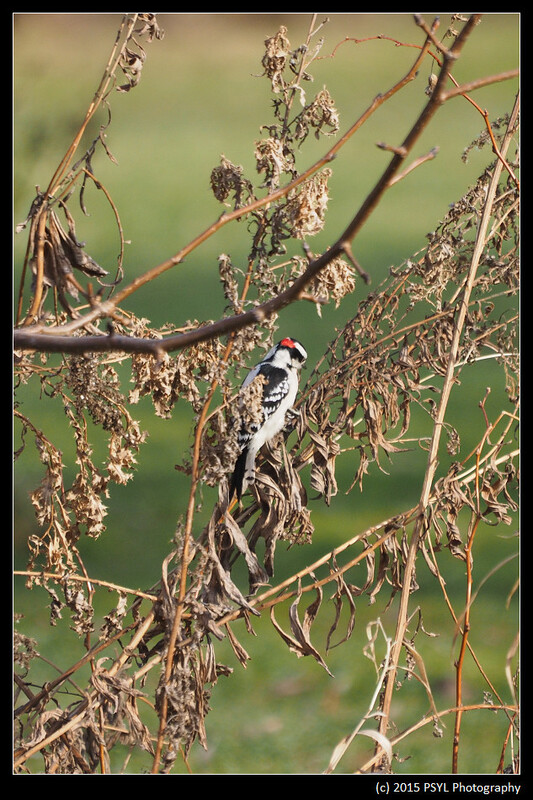 A Downy Woodpecker (Picoides pubescens) searching for food among the goldenrods. Can't believe this is my third December in Ottawa already!